Disney World restaurants start accepting reservations 180 days before the desired dining date (for those staying at a Disney-owned hotel, at 180 days before your check in date you can book both that date and the next ten). Booking open at 6a for on-line reservations and at 7a for phoned-on reservations. Disney’s FastPass+ reservations—which allow you to book a low-wait “appointment” to see certain rides—become available 60 days before planned use at 7a if you are staying at a Disney-owned hotel, the Swan or Dolphin, or (new in 2018) Shades of Green. the Four Seasons, and the Disney Springs Resort Area hotels, or (new in 2019) the Hilton Orlando Bonnet Creek and Waldorf Astoria Orlando–and 30 days at 7a for everyone else. For an 180 day calendar, see this. Taking advantage of either of these requires that you know where you plan to be during the days of your visit—because dining where you already are saves much travel time, and you need to know what park you plan to be in to know where to book your FastPass+. Other key milestones are detailed in all the To-Do Lists on this site. Each is designed for a specific itinerary, but the general steps on the To-Do Lists apply to everyone. Note that if you’ve been shut out of a dining venue, start checking again at 31 days before your arrival, as some will get canceled around then from people cancelling their entire visit. Check again the day before, as there’s a penalty for not canceling by the day before. This all is more planning ahead than many wish for, or want. 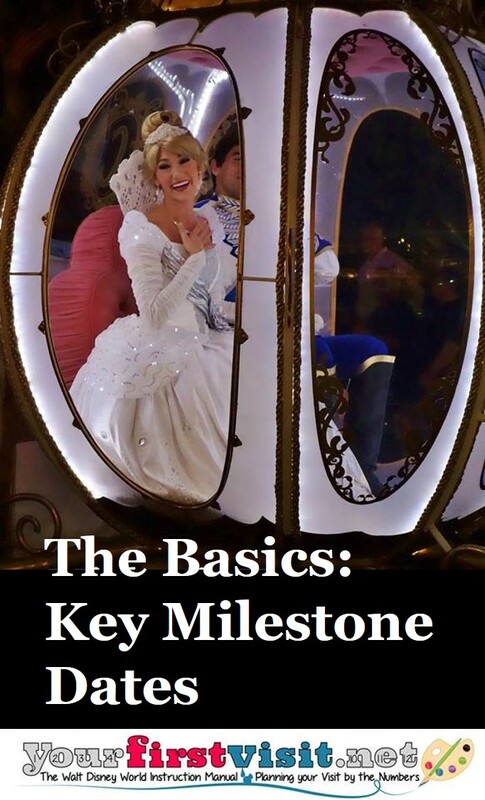 But with the advent of FastPass+ in particular, there’s never before been such a payoff to planning ahead at Disney World as there is today—and never before been such a penalty for failing to do so…. Keeping track of all these dates, what to do when, can feel overwhelming. But there is no need to worry when you book a vacation with me and Destinations in Florida. You\’ll get free itinerary planning. Free Dining planning. Free FastPass planning service. I\’ll contact in enough time to plan and then help you book all your needed reservations. And don\’t forget, as a fan of YourFirstVisit.net – when you book a qualified Disney vacation you get Dave\’s \”Easy Guide to WDW\” FREE.